In this second installment of the series, we’ll be diving into the purpose and features of Microsoft Teams. 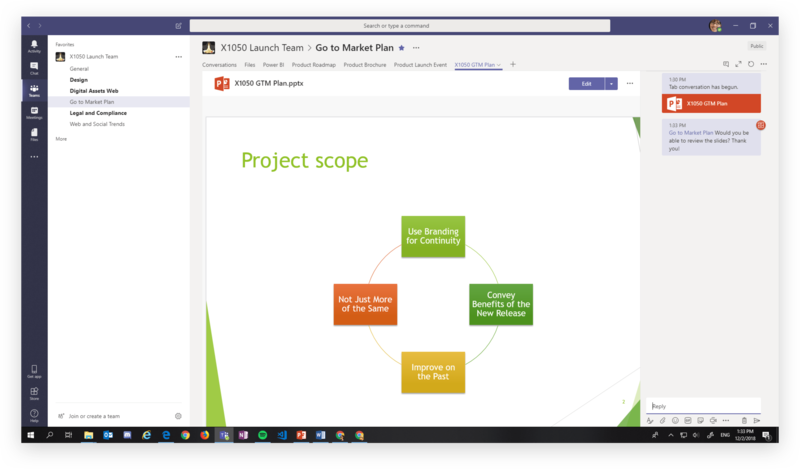 Channels are used for focused conversations and collaboration surrounding a given topic, which, in this scenario, is the go-to-market plan for the XT1050. Emily, your manager, put you in charge of delivering the XT1050 go-to-market presentation. 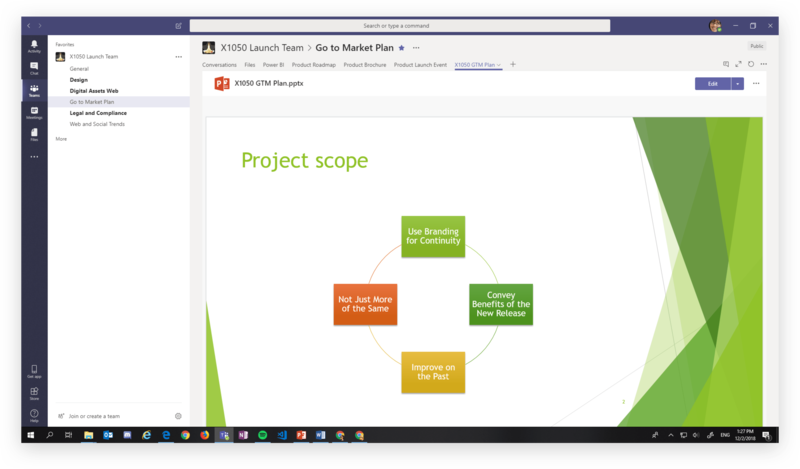 You’ve already created the presentation with the help of your colleague Joni in OneDrive, and it's ready to be shared with the rest of the team. There are a couple ways to share a file in a channel in Teams. Method 1: Directly within the chat, by clicking the paperclip icon and uploading a direct copy of the presentation. I advise against this method because it creates a duplicate of the presentation, making it hard to keep track of changes. Method 2: By moving the file from your OneDrive to Teams. In my opinion, this is the best option, as it doesn’t produce any duplicates. Because you used the @channel function, a notification will be sent to all the team members who are following the channel. You can also use the @team function to send a notification to everyone on the team. Pick your mention wisely! The assigned team member now knows which content—in this case, the presentation—to use for his or her task. Be warned: you can’t upload a file within this window; this currently only works in Planner. 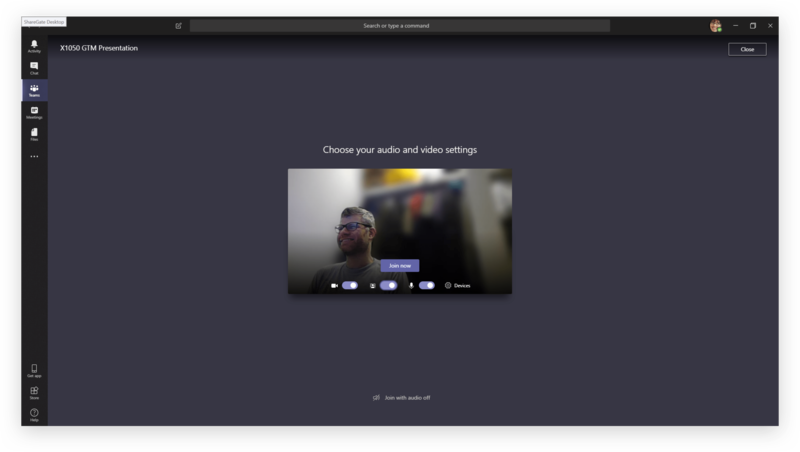 Teams lets you blur the background of your video feed as well as record the meeting for other team members to watch at a later time. Such recordings are stored in Microsoft Stream. Do you have a private team? No worries, permissions carry over from Teams to Stream. You and your team have finalized the presentation, but now you need to collaborate with an external marketing company, Easterfield, for the consumer launch of the X1050. Unfortunately, there isn’t a sharing option available within the Files tab. You’ll need to send an invitation to the external consultant, who’ll get access to the whole Team space—private channels don’t exist yet in Teams. This isn’t an ideal scenario; in the next part of this series, we’ll discuss how to use SharePoint as an alternative in situations like these. From my own experience, I know how difficult it can be to stay up-to-date while working in multiple external teams. I recommend asking your collaborators to @mention you on anything important so that you receive a notification. The external consultant has a default set of options available. Microsoft has done an excellent job of documenting these features. To collaborate with guests, the correct settings have to be activated. 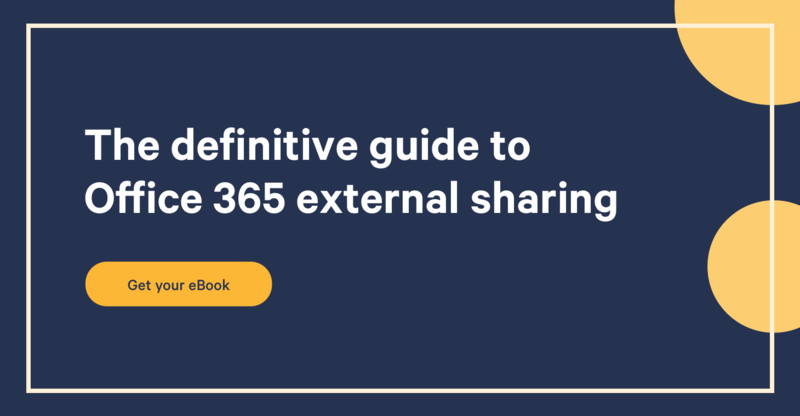 If you aren’t able to invite guests, contact your Office 365 administrators; they play an important role in governing external sharing in Teams and should always be included in your strategy. An Exchange Online inbox and calendar. These aren’t automatically visible in Outlook. 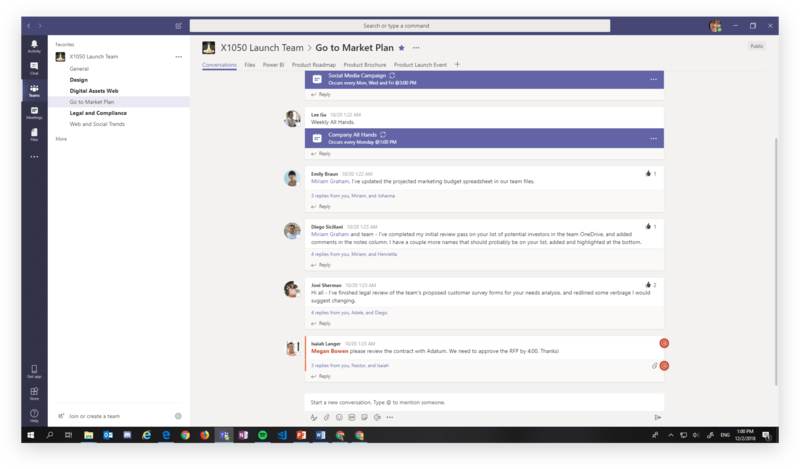 You open the inbox and calendar by going to the SharePoint team site and clicking on Conversations. A Stream group. This could take a while; the group won’t immediately be available. 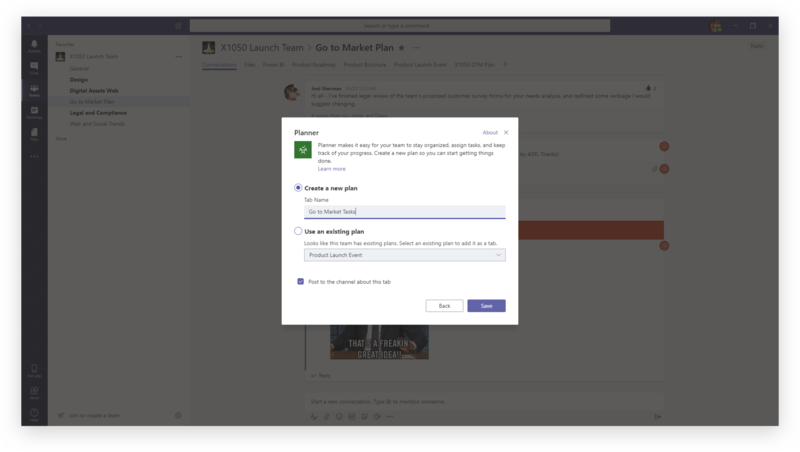 The Files section in Teams lets you connect with additional cloud-based file storage services (e.g. Dropbox). I recommend turning off this integration; otherwise, you won’t have any visibility over the content that moves in and out of your Office 365 environment. 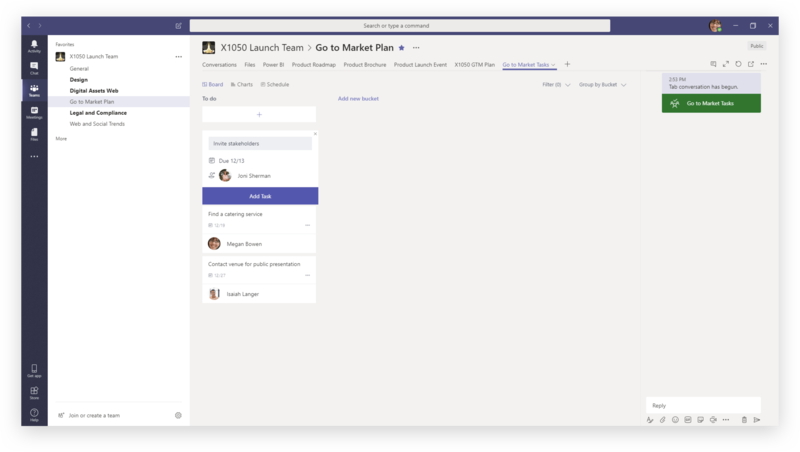 In the previous article on OneDrive, I briefly discussed data classification, mobile device management and mobile application management; the same advice applies to Microsoft Teams. Teams is aimed at business users. Its user-friendly interface and integration with other Office 365 services results in a high level of adoption among first-time users. That said, adoption is crucial. 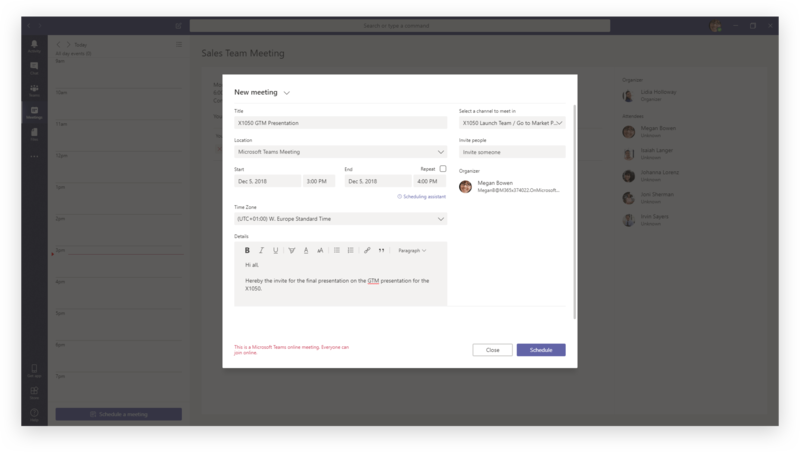 You can’t simply demo Teams, hand it over to a group of business users, and wave good luck from a distance; you need to explain how Teams fits into their existing collaboration process. Don’t forget: technology is awesome, but apps and services need to have a clear business value to succeed. My advice is to speak with a group of business users who want to collaborate. Gather their requirements and compare them with the features in Teams. Use hands-on demonstrations to show the value Teams can offer. When the organization decides to move forward, provide training sessions to cement the adoption process. 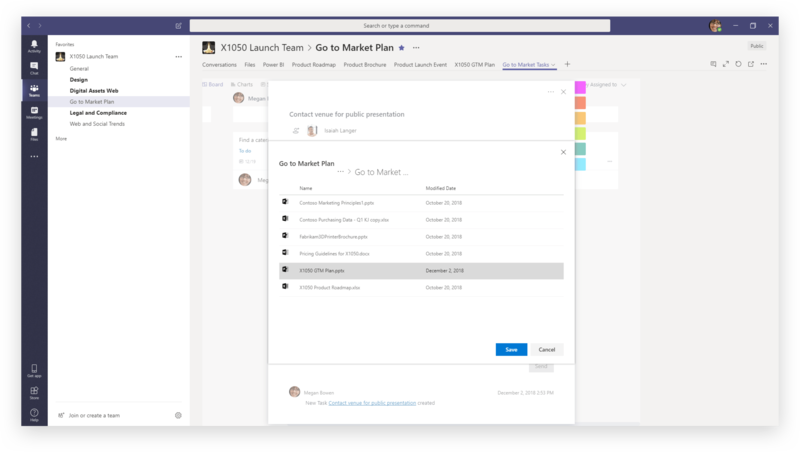 Teams is an intuitive, easy to use tool that’s ideal for content collaboration within a department or a project team. These are the reasons I fell in love with Teams from the moment of its release. 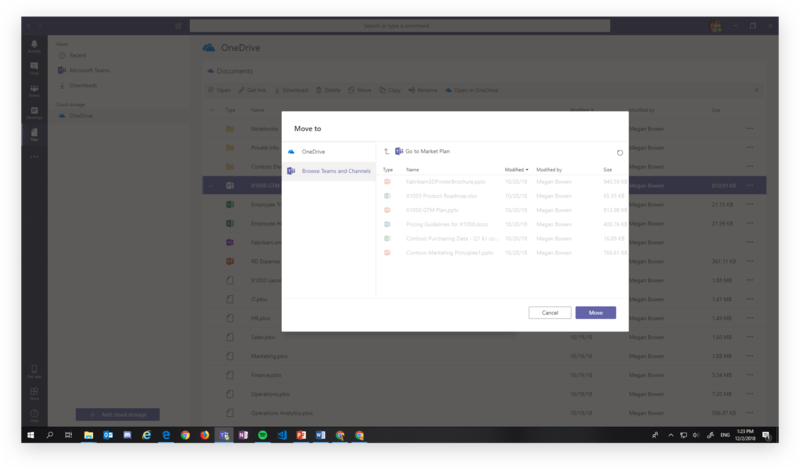 The integration with OneDrive lets business users start working on their files within a private space and allows them to move the file to Teams in a couple of clicks once it’s ready to be collaborated on. This is the kind of content collaboration that the modern world is looking for. Stay tuned for the next post in the series, where we'll be discussing all things collaboration in SharePoint!